Valentine’s Day is next week, so we’ll start today’s 3D Printing News Briefs off with a heartwarming story, before moving on to 3D printed models, and plenty of business news. The ‘Window to the Heart’ installation, featuring the world’s largest 3D printed lens, is officially up in Times Square this month. Moving right along, a 3D printed model of the county town of Ipswich could help solve traffic issues in Morocco. Invisalign is expanding to the Middle East, and Dremel DigiLab is unveiling its 3D45 3D printer in the UK for the first time. Sandvik invested $25 million in metal 3D printing, and Onshape is introducing two new Integrated Cloud Apps. In November, the Times Square Arts public arts program announced that the New York and Tucson-based design studio Aranda\Lasch, together with computation designer Marcelo Coelho, had won the 10th annual Times Square Valentine Heart Design Competition with their Window to the Heart design, which, thanks to Formlabs, features the world’s largest 3D printed lens at 10′ tall, with a 12′ diameter. The piece is based on the geometry of a Fresnel-type lens, warping and bending the light of Times Square towards its center: a heart shaped window open for people to look through or be photographed within. Each segment of the lens was 3D printed at high resolution by Formlabs with its Clear Resin, and the sculpture, which was just installed this weekend, weighs about 6 tons. Window to the Heart will remain on view for the month of February at Father Duffy Square, between 46th and 47th Streets; visitors can follow the conversation on social media with #WindowHeartTSq. A scaled-down 3D printed model of Ipswich, the county town of Suffolk, will soon be sent to Rabat, the capital of Morocco, and installed in a vacant car park to help government officials and city planners test out new ideas for traffic flow, transport systems, and housing in a smart city. The recreation includes 3D printed houses, park benches, and cars containing small, embedded supercomputers, in an effort to create a true Ipswich replica. Once the data is collected in Morocco, it will be sent back to Ipswich and analyzed. The immediate goal is for the technology to be used to test out the safety of road designs, but it could one day help set up cameras in crowded smart cities that can help find missing people. Align Technology subsidiary Invisalign, which uses 3D printing technology to create its brand of clear, plastic teeth aligners, announced this week that it will be strengthening its commitment to the Middle East, and will be opening its first regional Middle Eastern office in Dubai. The Middle East and African orthodontic market has been growing steadily over the last several years, as dental health importance has increased, and the Middle East region has an estimated nearly 440 thousand new orthodontic case starts each year. The digital Invisalign system combines proprietary virtual modeling software, rapid manufacturing processes, and mass customization to straighten teeth, using the custom-made, removable aligners that have been prescribed to over 5 million patients by Invisalign-trained orthodontists or general practitioner dentists. For the first time since Dremel introduced its DigiLab digital fabrication product suite and 3D45 printer this summer, the easy-to-use 3D45, designed for the school environment and launched at the Bett Show last month, has been unveiled in the UK. 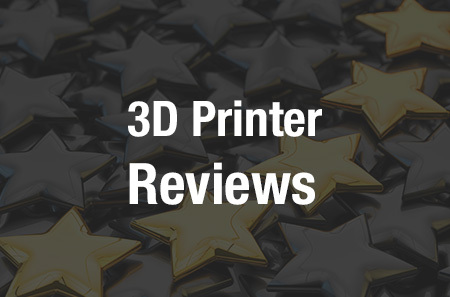 The affordable 3D45 comes with a suite of software made for students, and can also use three different types of filament at a high resolution of 50 µm: plant-based PLA plastic for beginners, heat-resistant Eco-ABS, and nylon. The 3D45 automatically recognizes the filament and will adjust settings accordingly, and features an integrated camera. 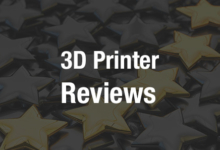 The 3D printer also has advanced safety features perfect for use in a classroom setting, such as a fully enclosed, see-through chamber and two integrated filter systems. Swedish equipment and tool manufacturer Sandvik Mining wants to apply 3D printing technology to produce fine metal powders, and announced that it is investing roughly $25 million to strengthen its position in the metal 3D printing market by building a new plant for titanium and nickel metal 3D printing powder. The company says that AM business and the metal powder segment are “of increasingly strategic importance,” and the new facility, expected to be operational by the year 2020, will be located in Sandviken, Sweden, near an in-house titanium raw material supply and additive manufacturing center. Modern CAD platform Onshape has re-imagined parametric modeling, but its expanding ecosystem is just as important once 3D modeling is done. Onshape is a complete engineering platform and offers a slew of Integrated Cloud Apps, for topics like CAD, data management, rendering, and simulation, that are easy to use and can be carried with you anywhere. The apps work directly inside of the platform with no installation, without interrupting your other work. Onshape has reported an increase of 600% of app usage in 2017, and with that in mind, is launching two new Integrated Cloud Apps at the Pacific Design & Manufacturing Show today. SIMSOLID Cloud, which is now embedded in Onshape, is meshless simulation that works on users’ original, fully-featured CAD geometry, without needing any geometry simplification or meshing; it delivers test results in seconds and has automatic tools for specifying solution refinement. VisualCAMc by MecSoft is a powerful CAM app that includes production-ready tools and functionality for programming milling CNC centers and machines. 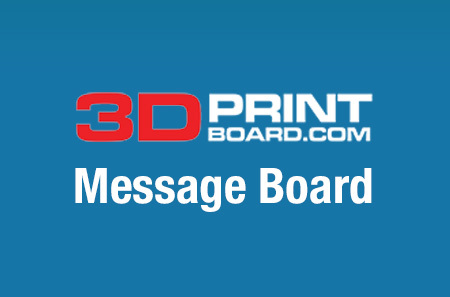 Discuss these and other 3D printing topics at 3DPrintBoard.com or share your thoughts below.